Located on the first floor. The apartment accommodates 5 people. 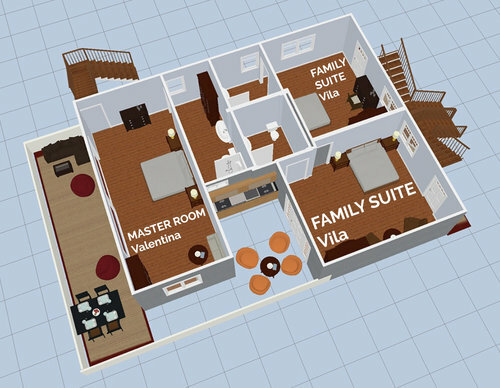 The suite/apartment occupies 2 Superior rooms with 2 bathrooms and a summer kitchen on the terrace. Rooms are interconnected. It has its own staircase to the balcony. The family suite/apartment has beautiful view of the beach.